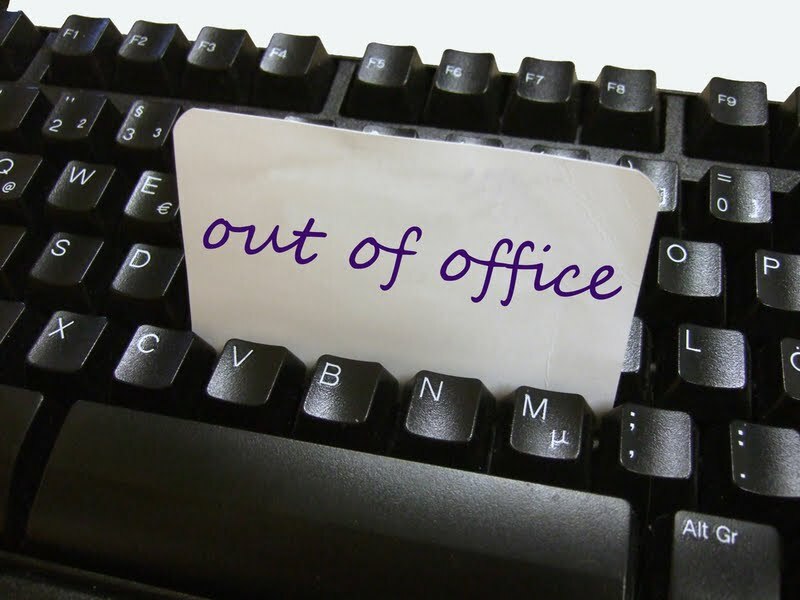 I am away at the moment and will be back in early June. In the meantime, thank you for your continued support and please keep sending me your pictures, stories and memories. I have received some fantastic stuff so far and promise to get this on the site as soon as I return. 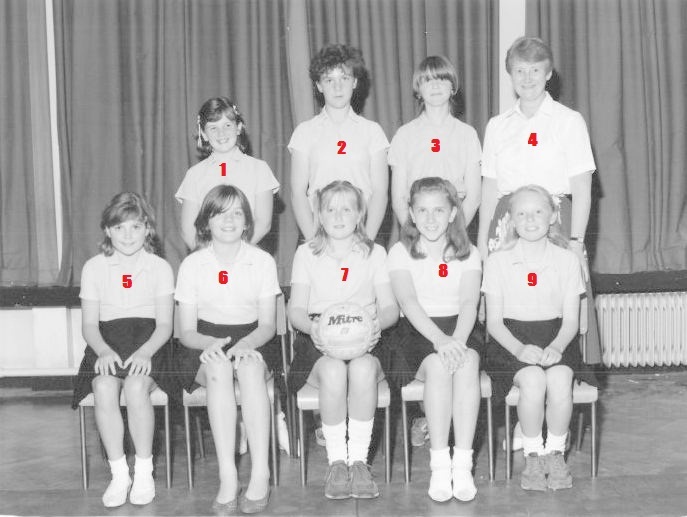 Briscoe Lane Primary School Netball Team – 1982/1983. Courtesy P. Stanley. 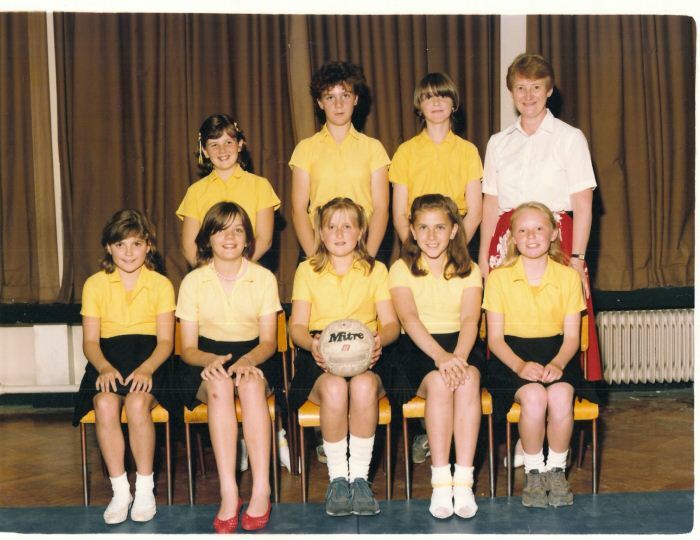 This is a photograph of the Briscoe Lane Primary School’s girls netball team, managed by Mrs Cubitt and taken in the school hall. Note the parquet flooring and the Mitre ball, the world’s oldest manufacturer of footballs and commonly found in many schools for decades. Back row from left: 1. Alison Wild 2. Fiona Paterson 3. (UNKNOWN?) 4. Mrs Cubitt. Front row from left: 5. Michelle Drinkwater 6. UNKNOWN? 7. Rachel Cain 8. Helena Spanswick 9. Joanne Sharples. 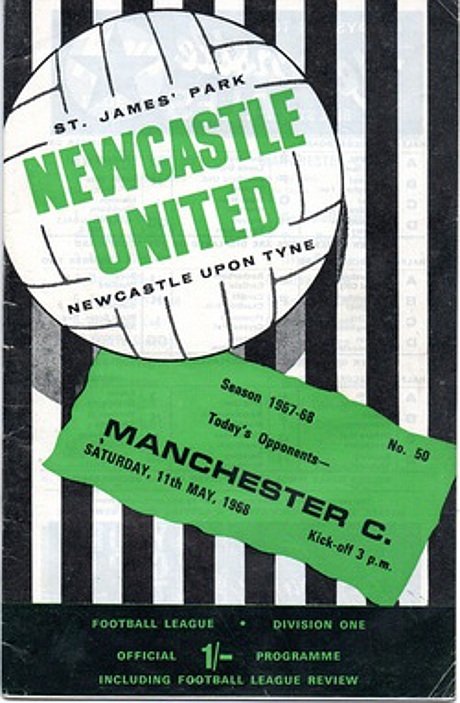 This is a programme from the 1967-68 season clash between Newcastle United and Manchester City at Newcastle’s home stadium, St James’ Park on Saturday 11th May, 1968. This was also the season the future QPR legend Stan Bowles made his debut for Manchester City , showing great early promise on the pitch. Sadly for City fans this was cut short, often overshadowed by the dramas off it and which subsequently resulting him being sacked by the club. City went on to beat the 1968 Inter-Cities Fairs Cup by 3-4, with the goals coming from City legend’s, Preston-born Mike Summerbee, Bolton-born Francis Lee and 2 from Fallowfield, Manchester-born Neil Young. See the GOALS. Both teams since this time, have redeveloped or moved to new stadiums. 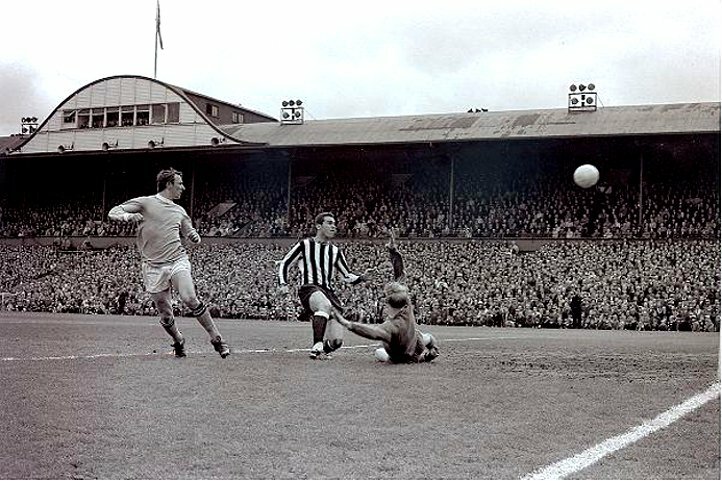 Mike Summerbee scoring against Newcastle, 1968. Newcastle United have remained at the much modernised St James’ Park where they have played since 1892. The stadium was recently renamed Sports Direct Arena in 2011 after its current owners business interests. Manchester City however moved away from their homeground Maine Road in Moss Side in 2003 where they had played for 80 years to the City of Manchester Stadium in Bradford and now renamed the Etihad Stadium after its sponsors Etihad Airways. Maine Road was demolished in 2004, after more than 80 years of football history and having been host to arguably Manchester City’s greatest teams and had become very much the focus for the local community. Maine Road became an housing development called The Maine Place, with both projects very much trading on the legacy of the respective clubs. See which development you prefer and why.